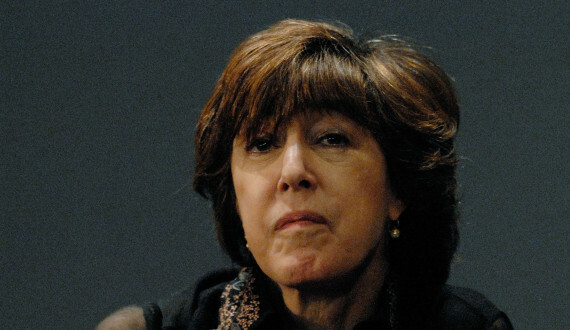 Tuesday, May 19, would have been the late Nora Ephron's birthday. Although she scribed and directed many romantic classics, "You've Got Mail" has remained particularly relevant thanks in part to the boom in Internet dating and the modern state of book stores. To get a better sense of how the movie came together, The Huffington Post spoke with actress Heather Burns, who played the young Shop Around The Corner employee who was also Kathleen Kelly's (Meg Ryan) BFF, Christina. At the time, Burns said she had an "Ah, man" feeling about the movie's messages of eternal change and the values of learning to adapt. But, she adds, the movie has meant more and more to her over the years. 1. Meg Ryan and Heather Burns worked at a real New York bookstore as cashiers to get into their roles. Ephron set up a long rehearsal process for the actors, which was particularly appreciated by Burns, who was making her movie debut. As Burns explained, part of this introductory work for getting into character involved Ephron setting Ryan and Burns up with jobs at Books of Wonder in Manhattan. The jobs lasted about a week and took place before work began on the movie. "We'd go and just kind of hang out with the staff and learn what we would be doing from moment to moment," said Burns. "How to work the cash register and things like that." Burns lived in New York at the time, making it a pretty easy commute and enjoyable experience overall. "It was really fun, I mean it was great to be around all those children's books and be around kids." 2. The cast members actually emailed each other during filming. They did not, sorry to disappoint, use AOL Instant Messenger. "At that time, we would have had to come home and done it from our landline ... the 'blee ooh ehh,'" joked Burns, emphasizing the cast's lack of Internet on set despite the movie's theme. In what would perhaps crush all fanfic dreams, the cast wouldn't AOL instant message each other like NY152 and Shopgirl. They would occasionally email. 3. Nora Ephron provided the cast with memorable meals that were borderline lavish, on a regular basis. Burns fondly remembers the crab cakes Ephron would provide, saying, "She'd often take us to nice lunches during the rehearsal." Speaking further about Ephron, Burns added, "She just loved food. She loved talking about food. She loved feeding people." As this was Burns' first big movie, she really appreciated Ephron plucking her "out of nowhere" and helping her through the entire opportunity. Food, along with Ephron's constant humor, had an effect of "making everyone else feel so important." "Food was always the main thing," said Burns. 4. Improvising was encouraged on the set, including in the iconic cybersex scene. 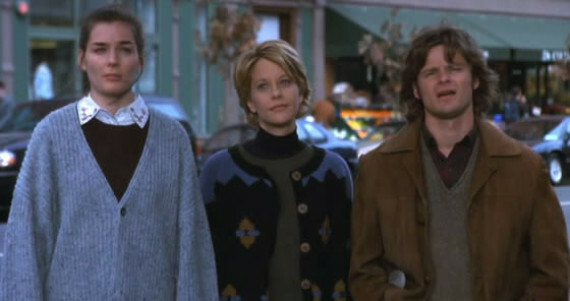 Nora and her sister, Delia, co-wrote "You've Got Mail," but gave their actors the opportunity to improvise dialogue into the movie. Burns felt as if the "the whole script was so funny and so well written," but certainly appreciated the opportunity to try different things. One of the moments where the actors were given the opportunity to improvise was the cybersex scene, where the bookstore employees talk about the merits of online dating. Burns didn't have too much personal experience to add in this particular improvisation, however. 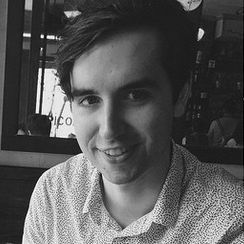 "I wasn't dating at the time, I was in a relationship, so I wasn't going online, in chat rooms and things like that," said Burns. "But, we were all just aware of that. And you knew about it and had friends, at least in my experience I had a lot of friends who would date online at that point in time. It was getting the point then even when I don't think there was a taboo about it. It was starting to be normalized." 5. Ephron encouraged The Shop Around The Corner employees to hang out extensively to build their onscreen chemistry. Ephron knew that The Shop Around The Corner employees would be shooting in that bookstore for entire days at a time and tried to make sure they had the chemistry to pull that off. Ephron would take them on "wonderful lunches," as mentioned, and ask that "the bookstore employees hang out together when [they] weren't filming." Keeping it true to form, the bookstore employees didn't mingle with the Fox Books employees as Ephron just focused on the groups seen in the movie. "That's mostly what she concentrated on," said Burns. "Which was great, because it was great to start the first day and kind of have a bit of history with everyone." BONUS: Since the movie, Burns has actually petitioned for local NYC bookstores. The death of "Fox Books" has her conflicted, though. "I don't know about everyone else, I wasn't the biggest fan of Barnes & Noble at the time," admitted Burns, who has always had a special love for "smaller bookstores." Recently, the rent was raised on the classic St. Mark's Bookshop in Manhattan, which Burns tried to prevent by being "pretty active in sending out petitions to keep it alive." The store thankfully found a new location. But the rise of online retailers has complicated Burns' aversion to the "Fox Books" stores of the city. "So now that Barnes & Noble is getting put out of business by Amazon, I don't know," said Burns, who wished there could be any bookstore vs. the person-less and algorithm-optimized Amazon. "Maybe I should have been more supportive of Barnes & Noble." 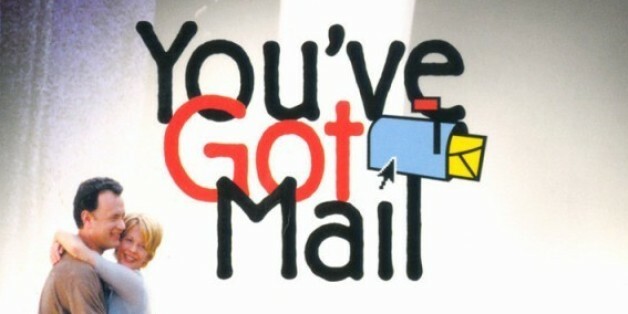 All images from "You've Got Mail" unless otherwise noted.